Barnes and Noble launched their U.K. ebook store (www.nook.co.uk) yesterday, bringing with them over 114,000 Smashwords titles. B&N's move to the U.K. has been rumored for over a year, and publicly confirmed by B&N a few months ago. It's great news for Smashwords authors and publishers. Some publishing industry pundits have poo-pooed B&N's U.K. entry as too little too late. I think the pundits are underestimating Barnes & Noble, and not just because they're flush with $300 million cash from a recent Microsoft investment. Here's why I think their U.K. launch is compelling: Brick and Mortar Distribution. 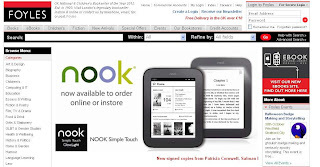 For day one of their launch, Barnes & Noble amassed a massive network of brick and mortar retail partners that will display, promote and sell the NOOK family of e-reading devices. According to B&N's press release yesterday, their retail network will soon include over 2,500 store locations in the U.K. To put this in perspective, Barnes & Noble operates 689 stores here in the U.S. In the same way that B&N leveraged its U.S. brick and mortar presence to become a powerhouse in U.S. ebook retailing, it's now poised to do the same in the U.K, only this time it's amplified by a broader footprint. The benefit of broad retail footprint is that it makes it easy and non-threatening for prospective customers to touch, feel, test and buy NOOK devices. Also innovative in their approach is that they're not just merchandising the devices in book stores. One of the new partners they announced yesterday is Asda, a large supermarket chains that will carry the NOOK line in 300 stores. If you assume that most book buyers spend most of their out-of-home time in places other than bookstores, it makes sense to get your devices in front them in as many different outlets as possible. In addition to Adsa, the other retail partners include John Lewis, Argos, Sainsbury’s, Dixons and Waitrose, Blackwell’s and Foyles. In addition to the brick and mortar benefit, B&N is also tapping into the online merchandising might of each of the retailers. Both Foyles and John Lewis, for example, are prominently promoting NOOK at the top of their store's home pages as I write this post. Earlier this year, B&N was rumored to be courting bookseller Waterstones as its flagship brick and mortar partner. Waterstones has less than 300 stores. Waterstones surprised the industry in May by wedding itself to Amazon instead. At the time, the deal was viewed that as a setback for B&N's U.K. aspirations. In retrospect, the loss now appears inconsequential, and Amazon looks to be the online ebook retailer at a brick and mortar disadvantage. It will be interesting to see if B&N utilizes the same partner strategy as it enters other countries. I expect it will, and I also expect they'll have an easier time than Amazon signing up retail partners. In a sign that 2013 will likely be a year of rapid international expansion for B&N, the company announced last month they hired Patrick Rouvillois for the new position of Vice President - International. Previously, Rouvillois headed marketing and ecommerce for Carrefour, the world's second largest retailer with 15,000 stores in 30 countries. The ongoing global expansion of our retail partners to multiple markets means that it's now fast, free and easy for our 50,000+ Smashwords authors and publishers around the world to reach readers that just a couple years ago were impossible to reach with either self-published or traditionally published books. Also exciting is that markets outside the U.S. (long the world's largest single book market), will begin to dwarf the U.S. market in the aggregate (lots of smaller markets combining to create a single large global market). As I mentioned in my post last week about Apple's iBookstore expansion into 50 countries, Smashwords authors yielded 46% of their iBookstore sales in September (2012) from stores outside the U.S. The U.S. ebook market has grown exponentially in recent years. In 2007, ebooks represented a mere 1% of the US market. For 2012, ebooks will probably surpass 30%. Despite the growth, the U.S. market is already showing signs of maturing. The exponential growth the US has experienced cannot continue forever. Although there's still much room for growth in the US, gone are the recent years where the market grew over 100% per year. Not so in the global market, where most countries are now entering the steepest and most exciting periods of their exponential growth phases. The competition among ebook retailers is quickly shaping up to be a battle for eyeballs. The eyeball glue is the e-reading device, whether is a dedicate e-reader, a multi-function tablet, or a smart phone. The ebook retailer who puts their devices in the most hands will become the dominant ebook seller of tomorrow. The major device makers, drawn from conventional booksellers such as Barnes & Noble and Amazon, consumer electronics manufacturers such as Apple and Sony, and online-booksellers such as Kobo, are all battling it out in the marketplace to get their devices into consumer hands. Each operates their own ebook store, and for most of them, their store is tethered to their device so that the quickest, most convenient path (and sometimes the only path) to book discovery and purchase is through their own store. This is why B&N's broad-based brick and mortar strategy for getting its devices into the hands of readers is so compelling, and why I think B&N is likely to be successful in its endeavor. It also means that B&N's entry into each market is likely to accelerate the growth of that market, rather than just steal customers from existing players, because B&N will reach customers not reached by the other ebook players. To the extent B&N is successful, there will be more readers for Smashwords books. If your book is already distributed by Smashwords to Barnes & Noble, there's nothing you need to do to get your book distributed into their U.K. Nook store. If you're new to ebooks, visit our How to Publish with Smashwords page to learn just how fast, free and easy it is to reach a global audience with Smashwords as your ebook distribution partner. 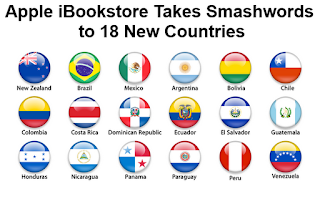 This week Apple expanded the reach of the iBookstore to 18 new countries, bringing the total reach of the iBookstore to 50 countries. 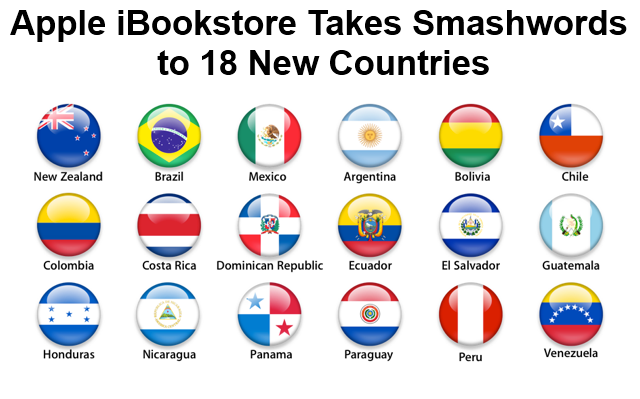 Over 120,000 Smashwords ebooks now enjoy global distribution through the Apple iBookstore, these new stores included. The new countries include Brazil, Mexico, Argentina, Bolivia, Chile, Colombia, Costa Rica, Dominican Republic, Ecuador, El Salvador, Guatemala, Honduras, Nicaragua, Panama, Paraguay, Peru, Venezuela, and New Zealand. With little fanfare, Apple has assembled the industry's broadest distribution network for indie ebooks. As an indie author or small press, if your ebooks aren't at Apple, you're missing out. Concurrent with the launch of the New Zealand store, Apple selected Sentence of Marriage by New Zealand Smashwords author Shayne Parkinson to promote as its "Book of the Week" in both their New Zealand and Australian stores. Congrats Shayne! Smashwords makes it fast, free and easy for any author or publisher, anywhere in the world, to reach all of these stores. Our Smashwords Style Guide (quite possibly the world's most-read ebook formatting guide with a quarter of a million downloads), is available in translated editions for Spanish, French, Dutch, Bengali, Italian, German, and Danish. I'm excited about the global distribution opportunities available to Smashwords authors. In the U.S., ebooks as a percentage of the overall trade book market will reach approximately 30% in 2012, up from about 19% in 2011, 8% in 2010, 3% in 2009, and 1% in 2008. Every market outside the U.S. is now entering that same exponential growth curve as the primordial soup of supportive ebook ecommerce ecosystems come into their own. Apple will help drive this growth, as will the 50,000+ Smashwords authors, publishers and literary agents that use Smashwords to publish and distribute ebooks. Within the next few years, the market for your books outside the US will dwarf the US market. Think globally, and get there now. For the month of September 2012, Smashwords authors and publishers yielded fully 46% of their Apple sales from stores outside the United States. With the launch of these 18 new stores, I expect November will easily cross 50%. For the month of September, our largest markets outside the US were Australia, the U.K. and Canada, in that order. The global sales opportunity goes beyond just English-language countries, however. Sweden was our fourth largest market, and not because we sell a lot of books in Swedish. Every day, we're selling English-language books (and other languages too) into multiple countries. Although each country in isolation represents a small market, in the aggregate these markets add up. Apple, with Smashwords as one of it's global aggregators, makes it fast and efficient to reach this global market. Apple's move has exciting implications for international authors. Brazilian Smashwords authors can now sell their books in the Brazilian market. I think Brazil will eventually become one of the world's largest ebook markets. An author in Costa Rica can upload a book to Smashwords today, and within several days that book can be for sale not just in their local market of Costa Rica, but to Spanish-reading audiences throughout Central and South America, Mexico, the United States, Canada, and around the world. These publishing and distribution tools are free and available to every writer. All a Smashwords author needs is a finished manuscript, access to the Internet, a word processor, and the desire the reach readers. Imagine the new voices that now have the freedom and ability to instantly reach a global audience with their words. Think how the world is forever transformed for the better because it's now possible for every writer to publish globally. 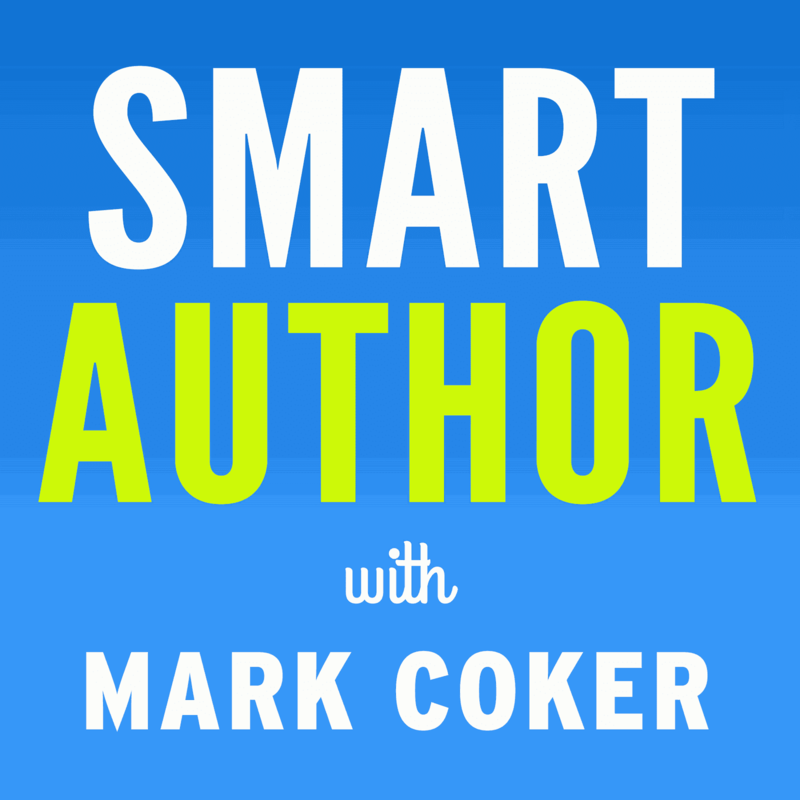 Writers, not publishers, now decide when their finished manuscript is ready to reach readers, and readers have the freedom to decide what books are worth reading. 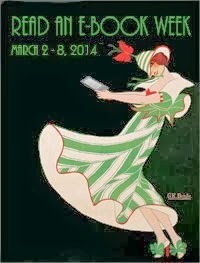 We're still in the very early days of the ebook revolution. As a writer or publisher, your best days are ahead of you. Go forth and publish! To learn how simple it is to publish and distribute ebooks to the Apple iBookstore and other major retailers with Smashwords, visit our Apple ebook distribution page or our page How to Publish and Distribute Ebooks with Smashwords.